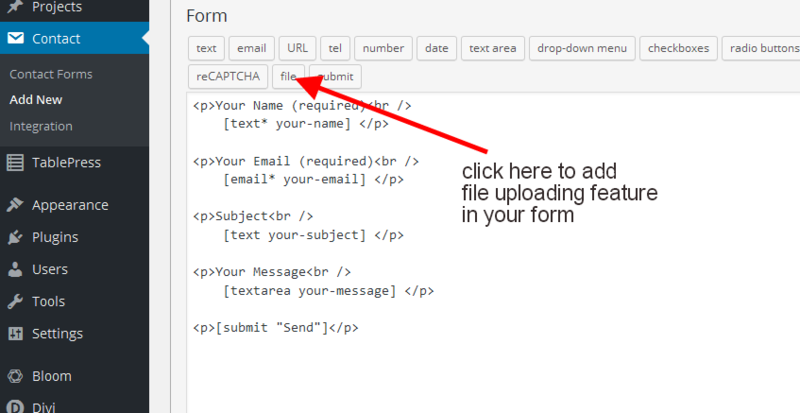 There is an option to use File Uploading in Contact Form, for this you have to follow given instructions. Click on the button called “file” to enable file uploading feature in form. A pop up with empty field value will appear on screen, add values according to your need. You can set uploading file limit and type in this pop up. 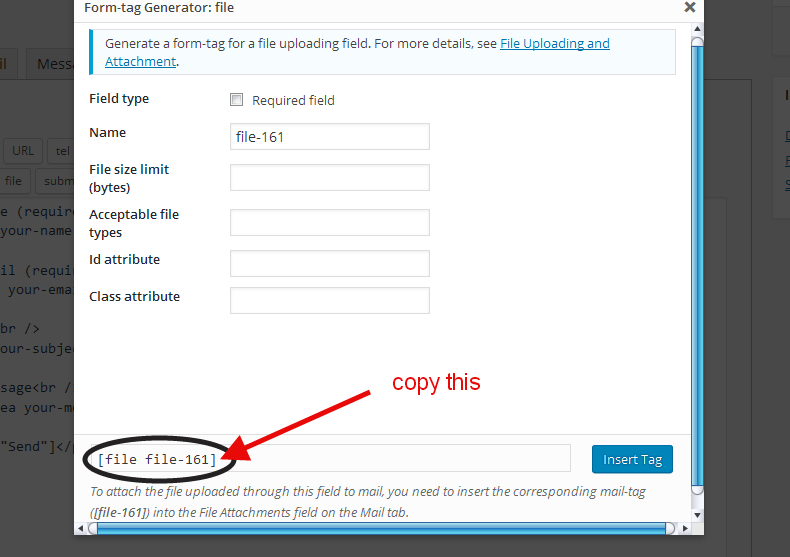 You can directly insert the file uploading tag here, and if you are having a good amount of customization then you can copy that tag and can insert it in the form according to your need. It will generate a file uploading button. If you want to access that uploaded file onto your mail then you have to click on mail section of contact form 7. And remove the tag type from the tag and paste only the tag name in File Attachments field, suppose file uploading tag is like “[file file-161]” then only paste “[file-161]”. This will add the file attachment with the mail.